Jari-Matti Latvala believes Citroen acted incorrectly by sacking Kris Meeke halfway through the 2018 World Rally Championship and should have honoured his contract. Meeke, who had been hired to lead Citroen’s title challenge in its factory WRC return with the C3, was dismissed between the last two rounds in what the team called a safety-related decision following recent large accidents. But Toyota driver Latvala was one of several WRC contenders who spoke out in Meeke’s defence. “It’s a shock,” Latvala told Autosport. “This isn’t something we have seen in the driver market for a long, long time. Meeke’s fellow Briton Elfyn Evans said fans would miss his approach on and off the stages. “Kris is a straight-talking-kind-of-bloke,” said Evans. “He calls a spade an spade and people like that, the fans responded well to him and he’ll be missed. “I have to say, it was quite strange not to have him in Sardinia. He started his first full season with Citroen when I started my first full year with M-Sport. Reigning WRC champion Sebastien Ogier felt Citroen’s decision was “harsh” on Meeke and co-driver Paul Nagle. 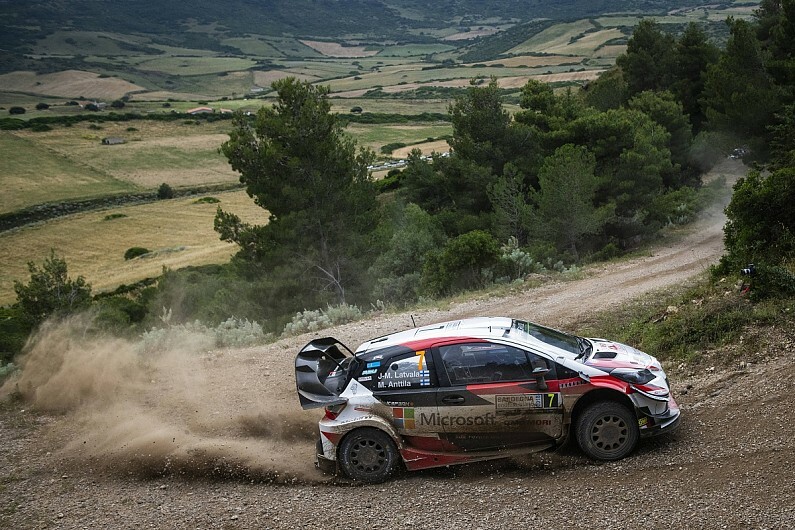 “It’s always a surprise to see that happening in the middle of the season,” said Ogier. Ogier’s sympathy was echoed by his title rival Thierry Neuville, who described Meeke as “a very fast and committed driver and a good friend as well”. Neuville added: “I wish him the best of luck. Whether we see him back or not, I don’t know, but he was a great pilot and had a great career. There is speculation that Meeke is already negotiating with teams about future possibilities, but he is currently remaining tight-lipped about his plans.